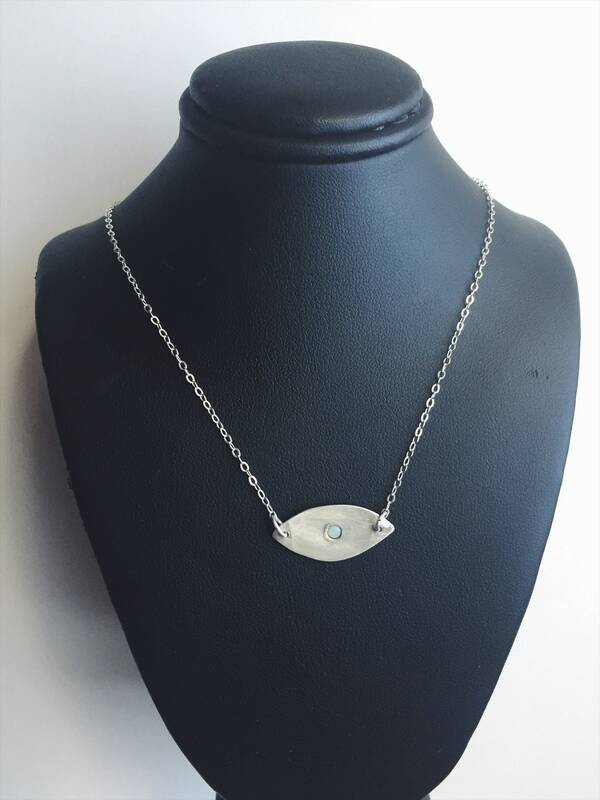 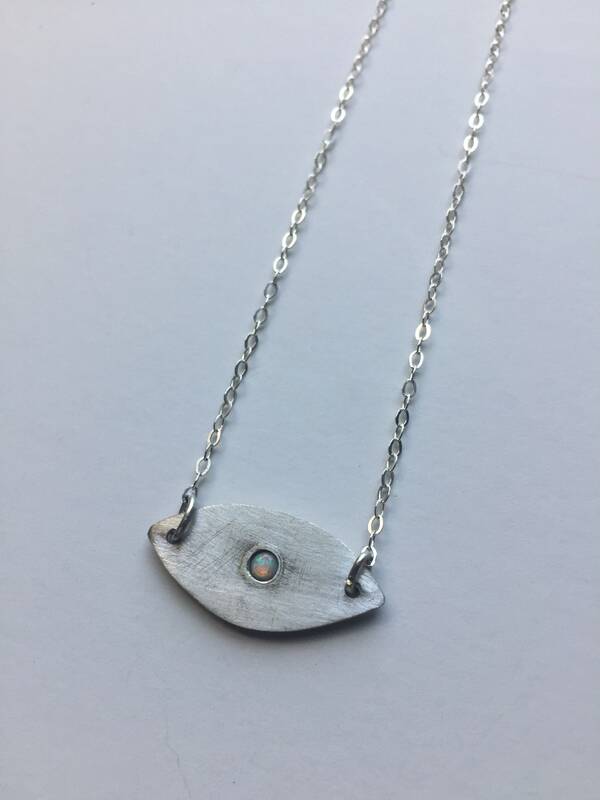 Opal evil eye pendant makes a beautiful everyday necklace to keep the good vibes coming your way! 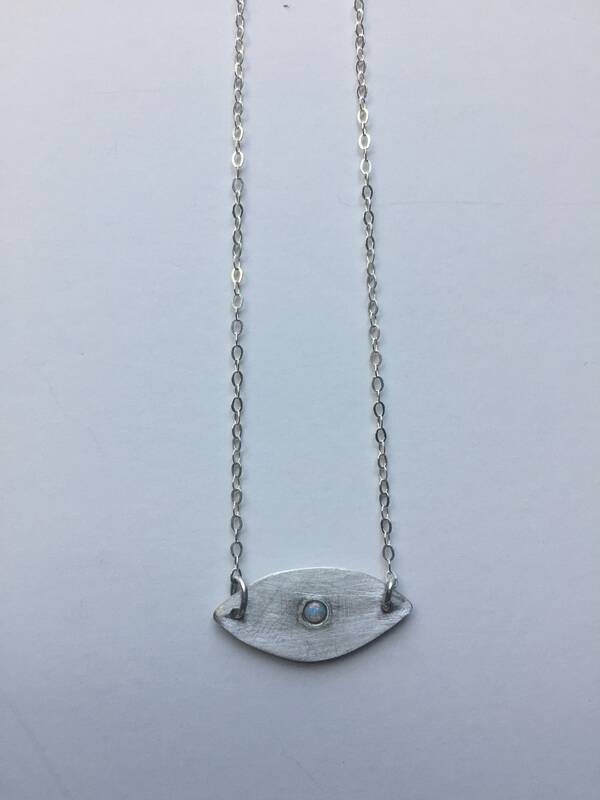 Makes a lovely gift for your favorite girlfriend, sister, mom, yogi, or yourself. 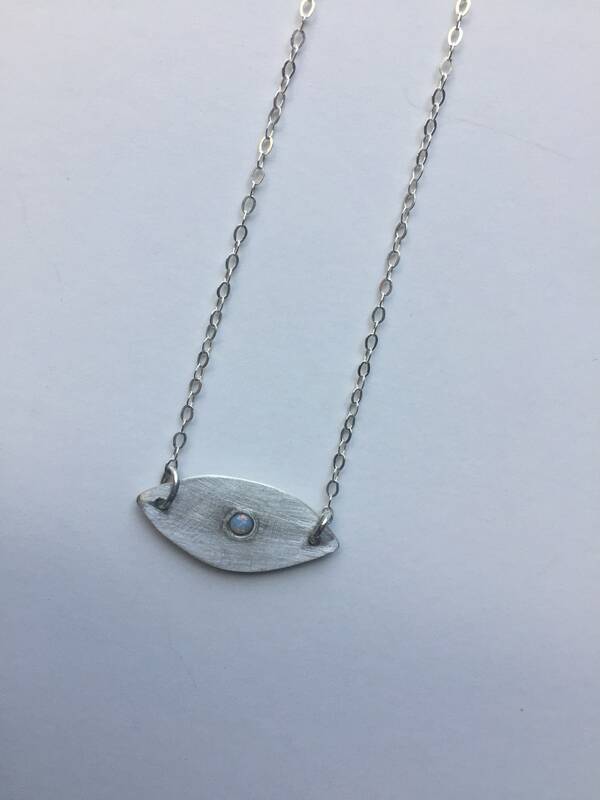 Hand cut sterling silver pendant measures roughly 1”x1/2” (please allow a slight variance due to the hand cut nature of the piece). 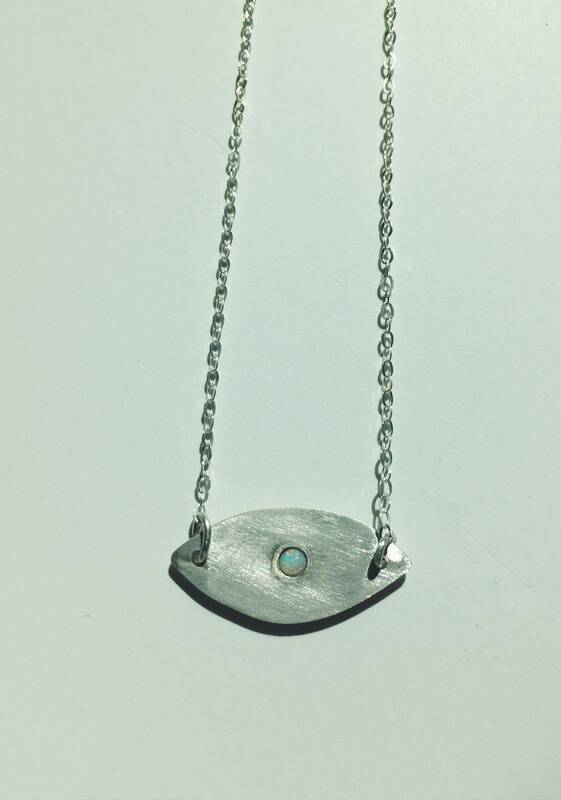 3mm opal inlaid on 16” sterling silver oval curb chain. 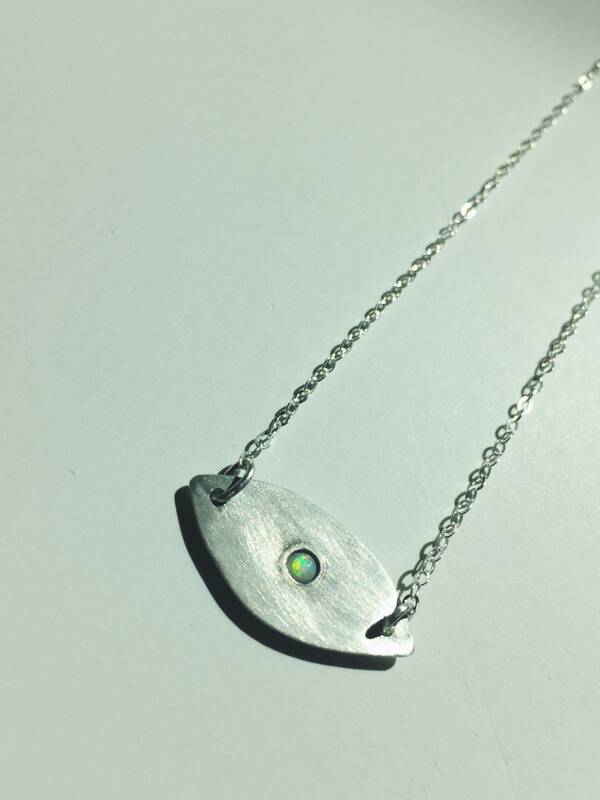 Please specify in the notes at checkout if you would like a more specific length (up to 20”).